Get access to dozens of software tools to help you create, grow, and scale your business! This is the best deal on the web for entrepreneurs and business owners! Briefcase Quarterly is a membership that gives you access to some of the best software tools for entrepreneurs. In addition to dozens of tools already included in Briefcase, members also get new tool credits each quarter! 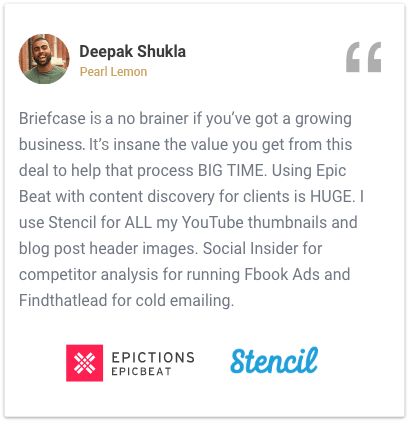 Over 2,000 freelancers, consultants, and entrepreneurs use Briefcase to grow their businesses. Tools to help you get more clients, reach into new markets, and grow your business. Easily create beautiful designs for your website or marketing assets and take your products to the next level. From SEO to social media and analytics to blogging we've got you covered on all of your marketing needs. Get the tools to manage your billing, accounting, and administrative tasks to properly organize your business. How Does Briefcase Quarterly Work? With Briefcase Quarterly, you'll receive credits for AppSumo lifetime deals each quarter that your membership is active. That means that if you need to end your membership, you'll still retain access to these tools. How Much Does Briefcase Quarterly Cost? The Briefcase Quarterly membership is just $49/month (billed quarterly at $147). Absolutely! If at any point you decide that Briefcase is no longer right for you, you can end your membership and will not be charged for the following payment cycle. 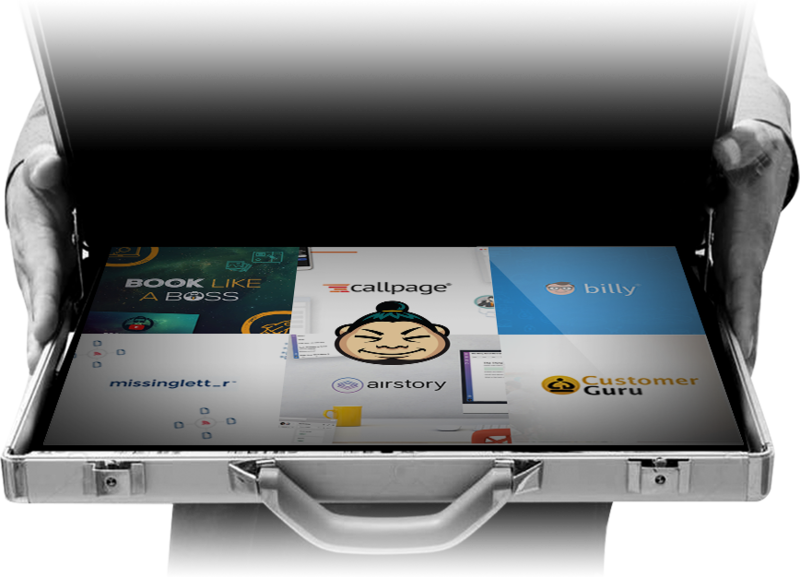 To cancel, just reach out to briefcase@appsumo.com and our support staff will be sure to take care of you. Which tools are included in Briefcase Quarterly? On top of this, you also have access to the tools currently available in Briefcase that you can see here. Note: Briefcase tools do not require credits to be redeemed, however, licenses are limited, so activate all the tools you want right away to ensure access! *Occasionally AppSumo offers certain software tools or physical products, such as conference tickets, books, other items that can only be purchased with cash or cash-like equivalents (credits and discounts not included). However, for the majority of products offered on AppSumo, this will not be an issue and Briefcase members will not be affected.